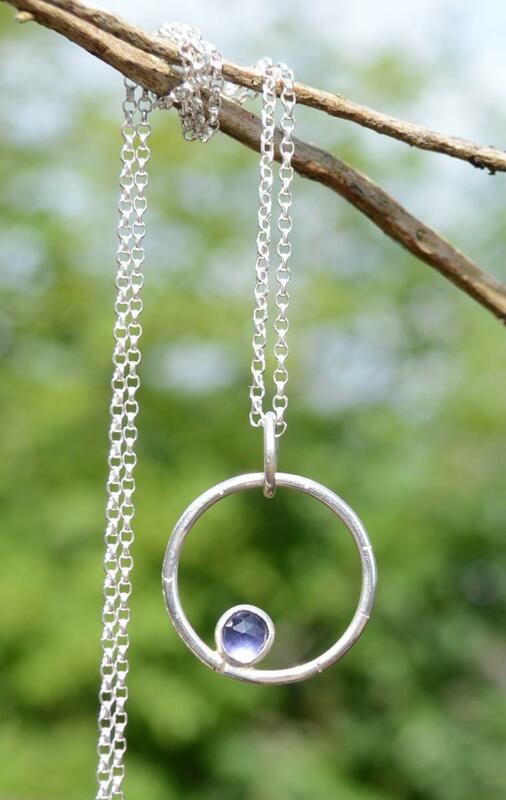 This unique pendant is handmade with love at Kacha Stones. 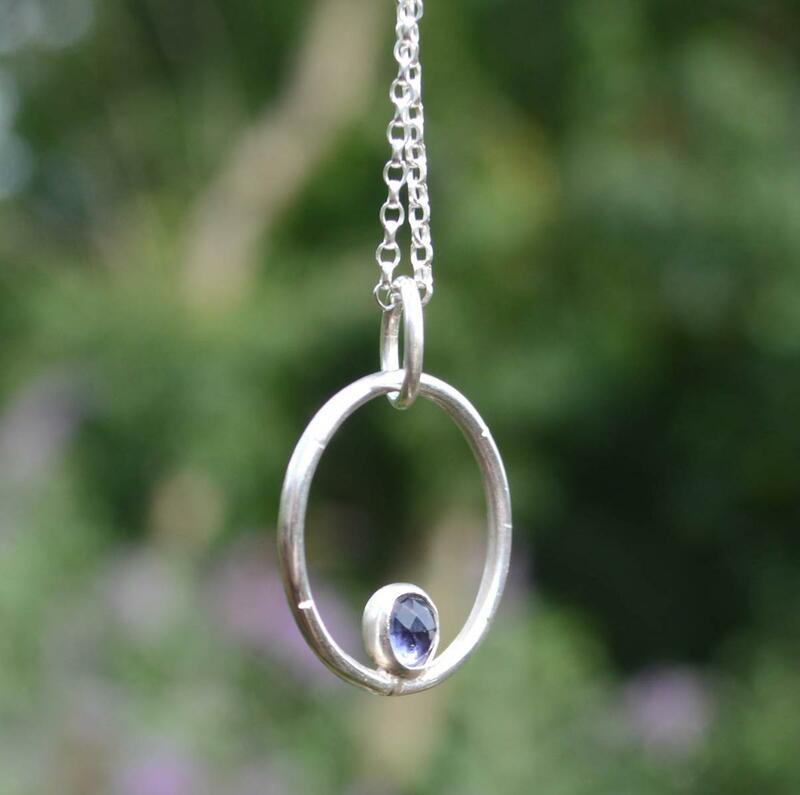 Faceted 4mm bright Iolite in a one-off design. "Iolite is one of the major stones used in the third eye/crown area during healing, guided meditations and astral travel. It produces an electrical charge when in contact with one's auric field and can both strengthen and align this field with the subtle bodies. It is useful for the stimulation of visions and has been used in shamanic healing ceremonies. 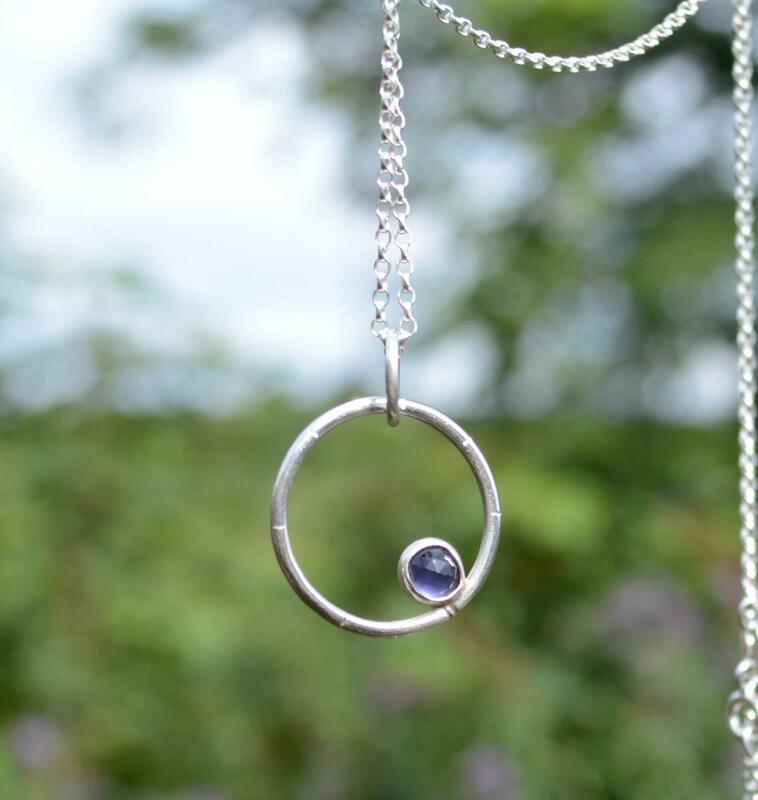 The iolite of the shaman is worn to ensure accuracy within the vision. It is quite powerful "medicine”. Melody, Love is in the Earth.